Host Even Golden sits down with DJ Irie at the Miami Beach Golf Club for the kick off of the 11th Annual Irie Weekend. The Irie Foundation is working year round to improve the lives of South Florida’s at-risk youth. Through a number of proactive initiatives and programs, we are committed to helping kids get on the right track and strive for successful futures.The proceeds from Irie Weekend go toward Foundation programming, as well as to benefit a number of other local and national non-profit organizations. A global powerhouse and highly sought after philanthropist, entertainer, brand and entrepreneur, DJ Irie is your host for Irie Weekend XI. Benefitting the IRIE Foundation, which works to provide South Florida’s troubled youth with unique educational and scholarship programming, Irie Weekend is the Foundation’s signature event. And this year, Irie Weekend is proud to be celebrating its 11th Anniversary AND Irie’s birthday! In addition to his work in the community, DJ Irie is an international sensation with a contagious enthusiasm and larger-than-life personality. While he’s certainly an authority on electrifying any party, the Irie Music brainchild is no ordinary DJ. Serving as the official DJ of the 3-time NBA World Champion Miami HEAT, Carnival Cruise Lines, and superstar Jamie Foxx, Irie’s partnerships also feature a “Who’s Who” of blue-chip companies and brands, including the likes of Pepsi, Target, Anheuser-Busch, Comcast, Premier Beverage, New Era and Evian. 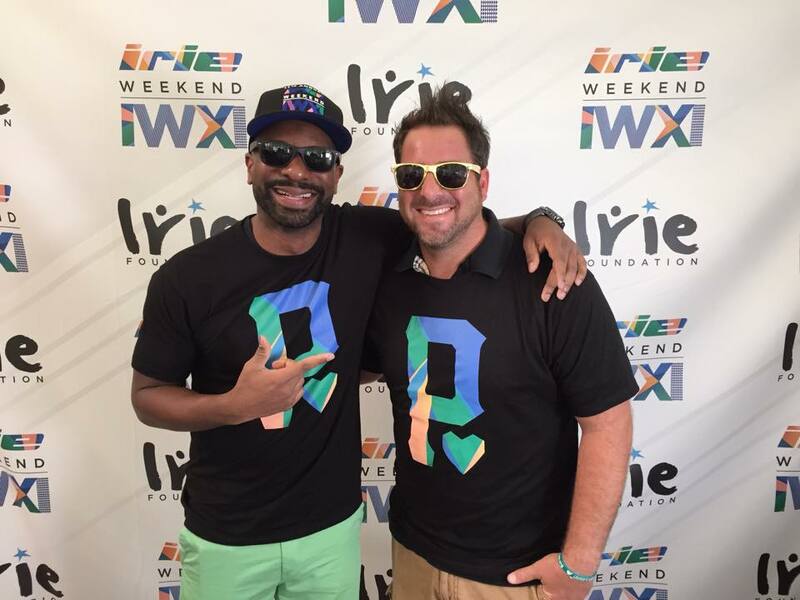 The St. Croix native is also the man behind Irie Music, Corp., co-owner of Lou La Vie Exotic Car Rental, SweetKix.com, Pucci’s Pizza and Venture Projects, LLC investment firm. He’s the #1 choice for countless celebrities and high-profile events everywhere from South Beach to Singapore, and has performed on some of the world’s biggest stages, including the American Music Awards, MTV VMA’s, FIFA World Cup, International Premier Tennis League, Daytona 500, Super Bowl, and NBA All-Star, and at corporate events for Louis Vuitton, Google, Red Bull, Hublot and General Motors, just to name a few.